In Hong Kong they build buildings with bamboo scaffolds. 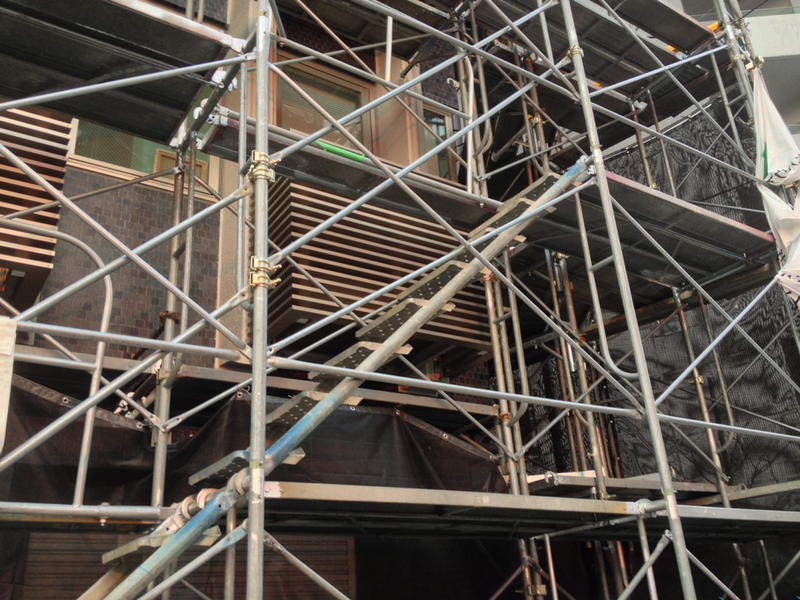 In Canada, you climb up the sides of a scaffold. In Japan .. it as one would expect. Amazing how this product looks suspiciously similar to the Dyson innovation. By Toto Japan. Mitsubishi has one too. 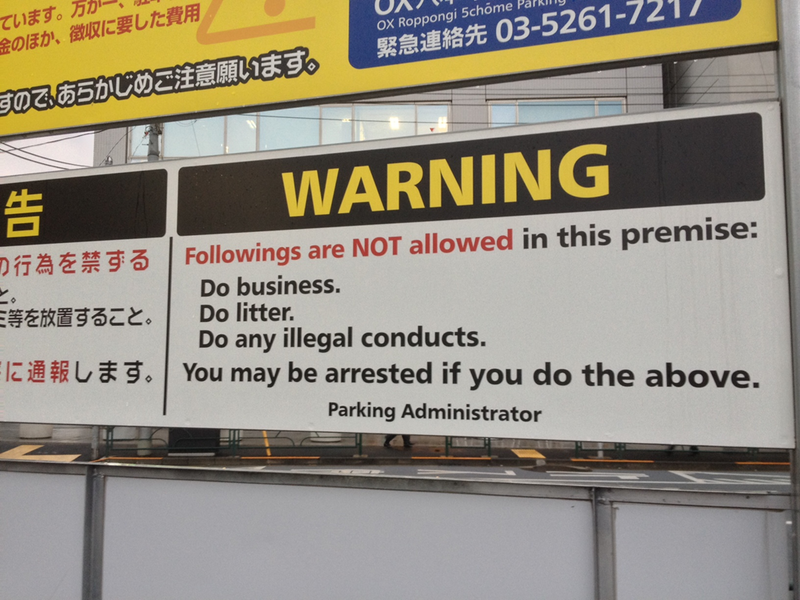 As seen in a Japanese parking lot. I have been warned, in a rather contradictory manner. 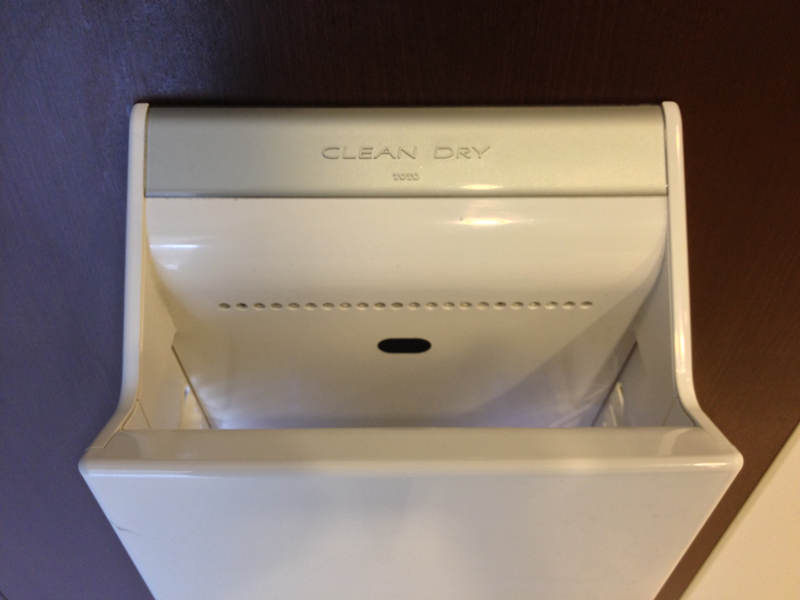 This entry was posted in Humour, Our Asia Adventure and tagged Bali, Dyson airblade, funny, Global Handwashing Day, Humour, Japan, Jenglish, observations, parking lot, Tokyo by michaelweening. Bookmark the permalink.